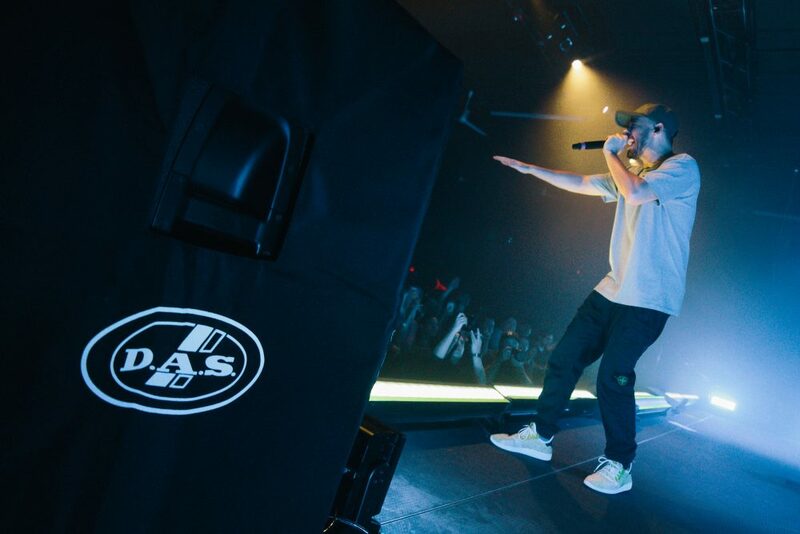 LOS ANGELES – Mike Shinoda, co-founder of Linkin Park and solo artist, has commissioned DAS Audio Event-121A powered subwoofers and Road 12A powered stage monitors for his current Post Traumatic Tour. As both the co-founder of the rock band Linkin Park and a solo artist in his own right, guitarist / keyboard player, singer, songwriter, rapper, record producer, and graphic designer Mike Shinoda is one very busy artist. He’s currently approaching the end of the current leg of his Post Traumatic Tour, which will resume in early 2019 when it picks up in Europe. Shinoda’s night after night tour schedule demands equipment that maintains sonic consistency and reliability throughout—and to ensure the best audio performance at monitor world, Shinoda and monitor engineer Kevin ‘Tater’ McCarthy rely on the performance of DAS Audio Event-121A powered subwoofers and Road 12A powered stage monitors.